Large, antique French laundry basket with lovely aged patina. Circa early 1900s. 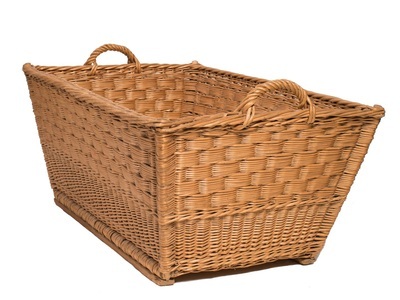 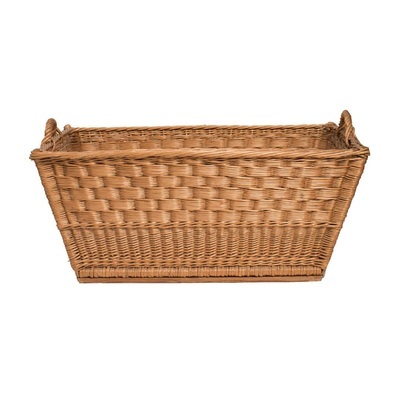 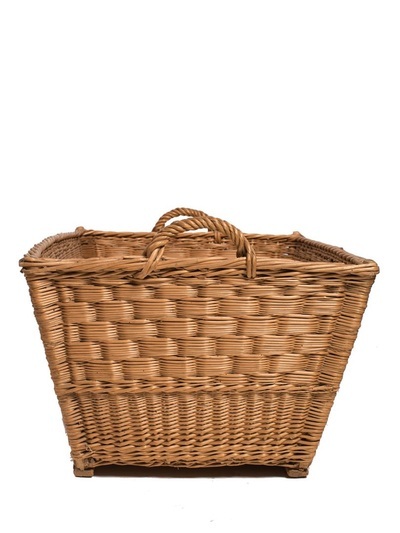 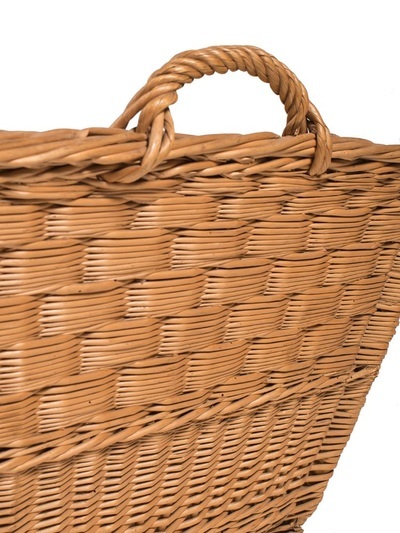 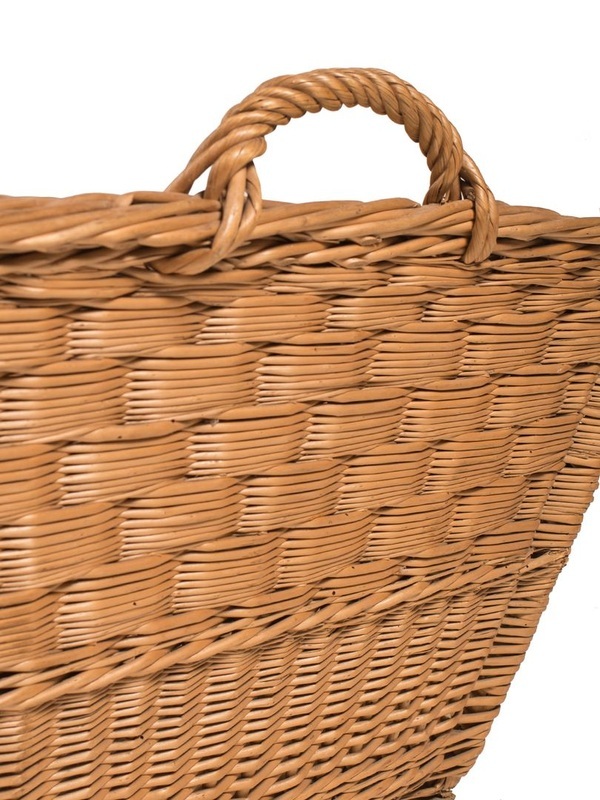 Handwoven natural willow basket with handles and wooden slat bottom runners. 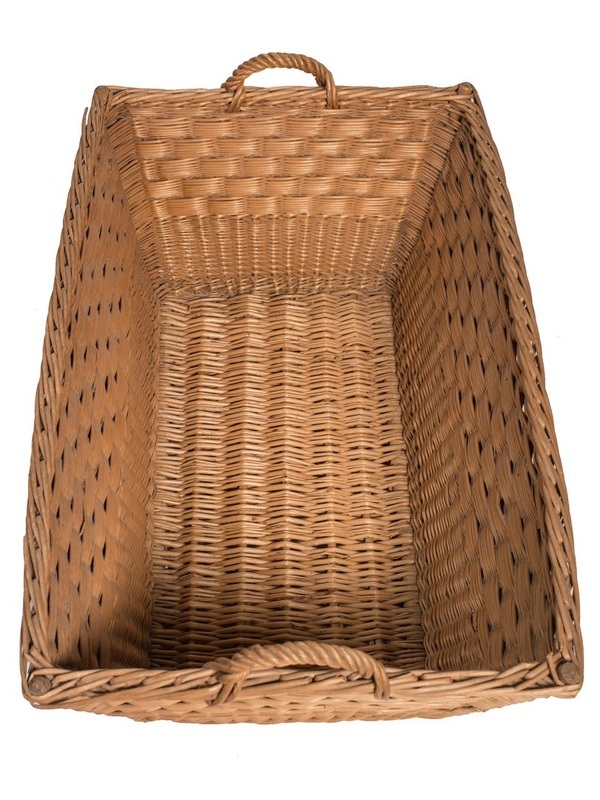 All corners have wooden dowels for extra sturdiness. 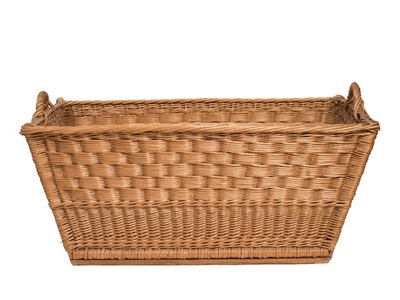 Many uses, from laundry to toys to firewood to blankets. Wonderful Country French accent for your home. Many available to choose from.